Colormetic Form Board series toilet panels are manufactured by prefabricated sandwich panel system under ISO9001:2015 certification. 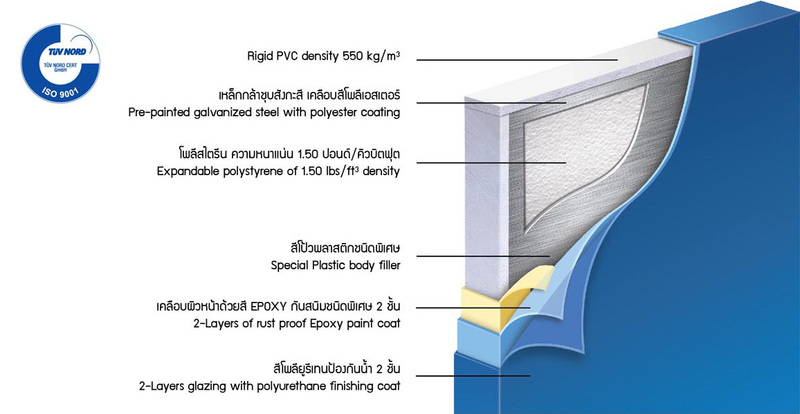 Main composite of panel are 26mm foam board and metal sheet skin, coated with plastic body and multilayer rust-resistant paint protection on the outer shell. Colormetic toilet panel unites strength of steel, lightness of foam, and water proofing plastic color coating, Internal frame of panel is made of rigid PVC which does not absorb water but offers compatible strength of hard wood (550kg/m3). Total panel thickness of 28 mm provides superior strength and better operational stability yet maintaining light weight property. Colormetic are seamless solid color in every dimension. 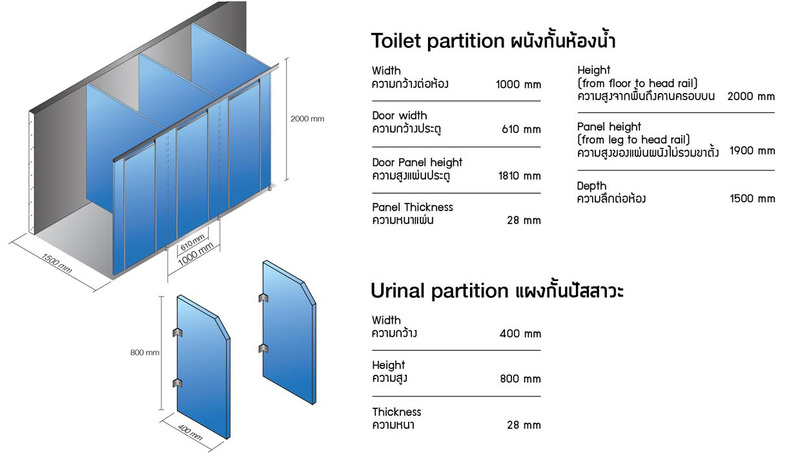 Without any void or gap on side edge, Colormetic panel is water resistant and more durable than typical adhesive-laminated edge toilet panel. Panels are installed with complete set of anodized aluminium profile including head rail, U channel, corner bracket, and privacy door liner and stainless steel fitting. * Actual color may be differed from brochure sue to printing quality. Please Refer to color palette for accuracy.